A personal account of the medical students of Our Lady of Fatima University, St. Luke's University College of Medicine, and the students of Cupertino High School. They retold their experiences volunteering with ABC's for Global Health during the summer of 2018 contributing to the medical services and education our organization provides in Pampanga. Read some of the experiences of St. Luke's University College of Medicine's Sagip Bayan Student Group: Batch 2021 and 2022! "I'm Clarice, an incoming 2nd-year student from St. Luke's College of Medicine. I've been volunteering with ABCs for global health for a week and I've known it from an organization in my school. For my whole week's stay here, my favorite experience was when I served the Aeta communities in Pampanga through medical missions. It was a great experience because it has helped me shape my view of indigenous communities. ​From this experience, I was able to see the actual situation of these communities and use my knowledge and resources to help them. This organization also gives me hope since people of different cultures, of different personalities, and different beliefs have gathered together with a sole mission to serve the people." "It’s my first time to volunteer in and to be part of ABC’s for Global Health and it was definitely one of the highlights of my summer vacation. My experience at ABC was very fulfilling and inspiring. As an incoming second-year medical student, I’m glad that I was able to share my knowledge and skills and at the same time, I also learned a lot. To be honest, I expected that we would be only doing medical missions in the different communities. I did not expect that I would meet people from different backgrounds and that meeting them would make a shift in my perspective in life. Interacting with the locals and the Aetas gave me another insight of reality. I witness the reality of the health system in their communities and it was eye-opening. It encouraged me to work harder to become a better health care professional in the future. Meeting the high school students from Cupertino High School was also inspiring. I was inspired by their eagerness to volunteer and to help and by their brilliant ideas. I hope they will continue this path and inspire more students. Lastly, I was moved by Doctora Gabiola’s passion for serving our country. The unconditional service she gave and the compassion she has as a doctor are really touching and I wish to give that kind of service also to my country. Overall, my experience with ABC’s for Global Health was unforgettable and I will be definitely happy to be part of it again." "I’m Pamela F. Tungal, an incoming 2nd year student in St. Luke’s College of Medicine. Volunteering for ABC’s for Global Health has been one of the highlights of my life lately. It has given me a clear vision of what I want to be as a future doctor, and what I want to do for others in the future, most especially to those who are in need. We are indeed aware of the misfortunes that others experience, but it was really different being with them and experiencing it firsthand particularly in the Aeta communities. I hope that I can be a part of anything that can make a huge impact for them no matter how big or small, whether I’m still a student or a medical practitioner. It warms my heart most especially when the simple things that I’ve learned in school can be of huge help to others by just mere educating. My take in the whole experience is that a simple act and a smile can go a long way. And if I have the chance to volunteer, which I think I will, I’ll do it all over again." Betlee Ian T. (Bit) Barraquias Jr.
"As a medical student, I strive to learn as much as I can for my future profession as a medical doctor. I joined ABCs for Global Health as I see it as an opportunity for learning and experiencing the reality of medicine and the current status of health. I was a volunteer for one week – taking part in several medical missions where we served different barangays in Pampanga of northern Philippines. While ABCs for Global Health understands that medical missions are short-termed, the development of a mobile clinic extends the service of health care to these barangays for the long term; whereas, every month there would be medical missions in the same areas to serve new patients and follow-up the old ones. I am also amazed by the Telemedicine project – it allows accessibility of health services despite the limitation in doctors and/or consultants around the area. However, it is in its nascent form. But the idea is promising in the long run. Overall, I have learned a lot in this experience and hope to volunteer for the second time; after all, the noble goal of ABCs for Global Health is work of passion to serve the underserved - it inspires us to find ways to improve the status of health despite the limitations in resources." 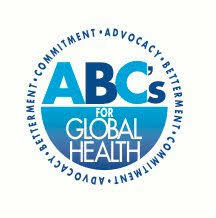 - Bitlee Ian T (Bit) Barraquias Jr.
"Volunteering for ABC’s for Global Health was the highlight of my summer vacation. I learned a lot from the doctors, nurses and other volunteers. I also got to interact with students from the States and other medical students, thus gaining new friends. Serving the Filipino community in Pampanga through medical missions and education was the best thing all of us did. I learned firsthand about why patients were not compliant with their medications and saw the need for proper antibiotic usage education in the community. I am grateful, especially to Dr. Gabiola, that I was given this opportunity to serve our fellow Filipinos." "As a med student, I’ve always been eager to sign up for med missions, outreach programs, and the like. I’ve even been a Red Cross volunteer before. So when I signed up for ABC’s for Global Health, I wasn’t really surprised by the volunteer work involved. I’ve been involved in far busier and far more toxic missions. I’d grown accustomed to doing a lot of hard work, and then waving goodbye to my fellow volunteers at the end of the day and not seeing them again. At ABC’s for Global Health, it was the exact opposite. I made a lot of new friends, both local and foreign. After each mission, we’d go back to Doktora’s house and unwind. We might go to the mall or we might just stay at home and binge-watch movies, play games, and share stories. I met a lot of wonderful students from another med school, I got to know Doktora’s staff, and I got to know the foreign volunteers from California. And I didn’t expect I’d have as much as fun with them as I did. To reflect on the words of one of my favorite professors in college, “Find a job in a place where you feel welcome. There will always be ways to make money. There will always be ways to practice your craft. But you won’t always find a place that makes you feel welcome.” And for me, ABC’s for Global Health was one such place.​"
"My weeklong volunteering experience with ABCs for Global Health is definitely enhancing, fruitful, and unforgettable. The experience helped me develop flexibility in dealing and working with different types of people from different backgrounds. It fostered in me adaptability in facing varying situations as I have observed in every community or barangay we went to. Then, more importantly, I was able to to have fun, share stories, and learn together with the new friends I met through ABCs. I truly believe that I have gained so much more than what I came for.​"
"When we were at the Pampanga Provincial Jail, I got the chance to view reality from a different perspective and realized a lot of things. First is that, due to the inmates’ living conditions, almost all of them have TB. Secondly, I realized that no matter how generous the service we provide, there are limits to what we can do. Some of the drugs that they desperately need, we don’t have the capacity to provide, and being imprisoned, they cannot buy. Lastly, despite all the circumstances they are in, they were one of the most grateful and most appreciative patients I have ever encountered. I met inmates that have the same birthday as me and met one that’s younger than me. It made me rethink how we treat and judge not only them but also people in general. In our country’s current political climate, this journey with ABC’s for Global Health only made my stand stronger; to demand a better justice system that is fair to all. Because at the end of the day, we are all human who has every right to live." Read about some of the experiences of the medical students of Our Lady of Fatima University's Philippine Medical Student Association: Batch 2021 and 2022! God Heals, We Serve! We love PMSA! "ABC's for Global Health experience is one of the records for me. Meeting Dra. Gabiola is such an honor, witnessing her selfless love for the people and passion for her craft makes me inspired to be a better person and to do my best. So one day I can do/continue all the things she's doing now. The program changed me in so many ways, but more specifically was when we visited the Aeta community and did house to house interview. I found out that they have so many misconceptions about different diseases and it made me sad. I realized that being a doctor doesn't deal with curing the disease only but more importantly by educating them. ABC opened my eyes to the sad reality of life and hungers me to give my very best and help them in any way I can right now." As I reminisce the experiences I had with ABCs for global health, I would summarize it with one word IMPACT. Well, it really gave a big impact on my life. I first heard the program in our organization, and it sounded like an adventure for me.it is really an adventure for us. So I joined in. Staying in a house wherein there are different cultures. First, I was nervous, but as days go by, I was able to blend in, why? Because of the people, they are so friendly and kind.dealing with different cultures and languages made me realize that each person in the world is very unique. Then medical missions came, I was able to experience different stations except for the MRS. I was able to communicate with different people. with the Aetas, elderlies, and children. Through the different projects that embodied the whole program, we were able to give impact in their lives. Being in the group of education, we were able to interview people, we were able to know what they really do, and how they really feel. In the mana pack, I am really amazed at all the recipes that we learned from our friends. In the pharmacy area, I am able to learn new medicines. One reflection time, when Dr. Gabiola mentioned: “what happened to your vacation?” Many things came up to my mind. It is really a wonderful meaningful experience for us, something really happened during our vacation. We were able to give impact to others and as well to ourselves too. We gained learnings and of course, we gained friends. I am so much blessed and thankful that we experienced this adventure. Thank you​." "Definitely, one for the books! I had an amazing time with ABC’s for Global Health. It feels good helping out lots of people, especially the kids. So fulfilling. Thank you, dr. Gabiola for giving us this experience, and for having us stayed in your home. I had fun with the high schools, they were so young but very professional. I look forward to seeing and working with these youngsters again soon. These youngsters are so genuine in helping people, they get along with the locals easily, which I totally admire. Med missions, it was tiring all right, but nothing’s more fulfilling than seeing people smile, and thanking you for your patience, and help. One of the most significant day for me would probably the day we went to the Aetas, the kids were everywhere, and it just felt nice seeing them happy when they were fed, and given some toys. I can say that I learned a lot from ABC’s For Global Health, from interacting with different kinds of people from different cultures to managing med missions, to be professional at all cost. My duty as a volunteer was short, but I would definitely come back again next time! Hope to see you all again. Again, thank you, everyone!" "My experience with ABC’s For Global Health has been unforgettable. I first joined the medical mission because I wanted to explore the medical field, but I returned with unexpected eye opening perspectives. I’ve definitely grown as a person over the course of a month with ABC’s and developed many new skills and leadership qualities. From learning medically related things like taking blood sugar and talking to patients to understanding the problems that different people face, this trip has inspired and empowered me to make a difference in whatever I do in the future. Growing up in the States to a family that was financially and emotionally stable, I’ve never really experienced anything in my life that was harder to deal with than a bad grade or a friendship struggle. However, going to the Philippines and seeing the plight of poverty first hand helped me realize how lucky I am to be in a position where I’m not only better off but able to help those people as well. I can’t help but sound like one of those cheesy reflections that you can find all over the web, but seriously, there are people out there that have stories and struggles that need to be told and through this organization, I’ve discovered that there’s no better way to do that than getting out there and making those personal connections yourself. And believe me, these are stories that will change your life, just as they did to mine."